Over the last week, republican candidates Donald Trump and Ben Carson have been taking a lot of heat–Trump for refusing to deny that Obama is a Muslim foreigner, Carson for explicitly stating that Muslims should not be president. We’ll discuss what both of them said, but I want to remind everyone of something we seem to have forgotten–it was Hillary Clinton who started this, and any person who supports Clinton while criticizing Trump or Carson is at best deeply ignorant of Clinton’s past and at worst a naked hypocrite. We have a problem in this country. It’s called Muslims. We know our current president is one. You know he’s not even an American. But anyway, we have training camps growing where they want to kill us. That’s my question. When can we get rid of them? We need this question. This is the first question? We’re going to be looking at a lot of different things and you know, a lot of people are saying that and a lot of people are saying that bad things are happening out there. We’re going to be looking at that and plenty of other things. He did not defend the president. He did not defend American Muslims. Am I morally obligated to defend the president every time somebody says something bad or controversial about him? I don't think so! This is the first time in my life that I have caused controversy by NOT saying something. If I would have challenged the man, the media would have accused me of interfering with that man's right of free speech. A no win situation! Oh, absolutely. No problem with that. I love the Muslims. I think they’re great people. People who hold these offensive views are part of Mr. Trump’s base. And Mr. Trump himself would be the first to tell you that he’s got the biggest base of any Republican politician these days. Right now, allowing supporters to indulge in racist or Islamophobic rhetoric is a winning strategy in the republican primaries, regardless of whether or not the candidates themselves actually believe what’s being said or would act on it politically if elected. Compared to the rest of the republican field, Trump is often the most liberal candidate, but by allowing his supporters to be as racist, xenophobic, or Islamophobic as they wish, Trump has managed to persuade a large number of republican voters that he’s a more trustworthy conservative than many candidates with far more explicitly right wing policy positions. No I do not. I would not advocate that we put a Muslim in charge of this nation. I absolutely would not agree with that. I do not believe Sharia is consistent with the Constitution of this country. Muslims feel that their religion is very much a part of your public life and what you do as a public official, and that’s inconsistent with our principles and our Constitution…. Taqiyya is a component of Shia that allows, and even encourages you to lie to achieve your goals. …publicly rejected all the tenets of Sharia and lived a life consistent with that. Yes, it is permissible to hide the fact you are Muslim” if a person is under threat, “as long as it does not involve hurting another person,” Abou El Fadl said. “But there is no concept that would encourage a Muslim to lie to pursue a goal. That is a complete invention. Any Muslim is raised on the idea that lying is a sin. It is a dispensation within some aspects of Shia law, which was developed out of the experience of a persecuted religious minority. In brief, it states to value human life over declaration of faith. It is the proverbial question: If a Shia is being persecuted, and someone holds a gun to your head asking ‘are you a Shia?’ you are allowed to say ‘no’ in order to save a human life. Perversely, the scholars are unlikely to be believed by Carson and other Islamophobes–these folks will simply claim that the interpretation of Taqiyya the scholars espouse is itself a lie intended to advance Muslim political interests. Consequently, Carson’s claim about Islam is an unfalsifiable assertion. Such assertions have no place in scholarship and ought to have no place in national politics. Unlike Trump, Carson is explicitly disparaging the religious beliefs of a group of American citizens. What he’s doing is far more objectionable and repugnant. the most shameful, offensive fear-mongering we’ve seen from either party in this election. I have no shame or no problem with people looking at Barack Obama in his native clothing, in the clothing of his country. We were in a high school gym, and Hillary was being introduced by Tom Buenbarger, who heads up the International Machinists Union. Bused-in union members cheered and chanted. Buffenbarger started out by taking a swipe at Obama’s white supporters. “I’ve got news for all the latte-drinking, Prius-driving, Birkenstock-wearing trust-fund babies crowding in to hear him speak!” he said. I thought, Huh, I guess that means me. Buffenbarger launched into a rant in which he compared Obama to Muhammad Ali, the best-known black American convert to Islam after Malcolm X. “But brothers and sisters,” he said, “I’ve seen Ali in action. He could rope-a-dope with Foreman inside the ring. He could go toe-to-toe with Liston inside the ring. He could get his jaw broken by Norton and keep ghting inside the ring. But Barack Obama is no Muhammad Ali.” The cunning racism of the attack actually made my heart start to beat fast and my ears start to ring. For the first time on the campaign trail, I felt completely outraged. I kept thinking, “Am I misreading this?” But there was no way, if you were in that room, to think it was anything other than what it was. Jesse Jackson won South Carolina in ’84 and ’88. Jackson ran a good campaign. And Obama ran a good campaign here. She has never publicly acknowledged that she did this. She has never apologized for it. And now millions of democrats, many of whom consider themselves to be against racism, against Islamophobia, against xenophobia, are supporting her yet again, even though there are credible alternatives who do not have a long history of political racism (e.g. 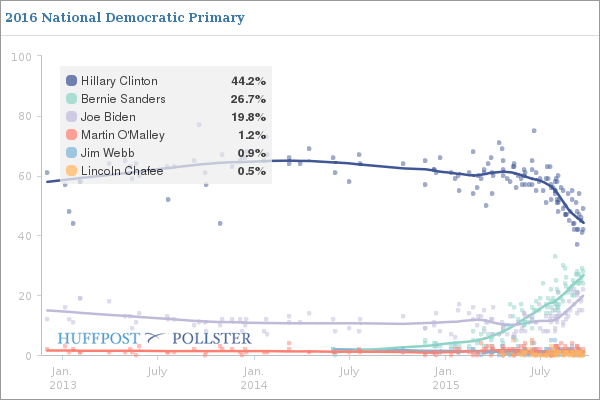 Bernie Sanders, potentially Joe Biden). Mortality rates among welfare recipients likely rose by at least 16%. By keeping single parents in work and away from their children, welfare reform adversely affected the development of adolescents, particularly those who were pushed to care for younger siblings, significantly decreasing academic performance. 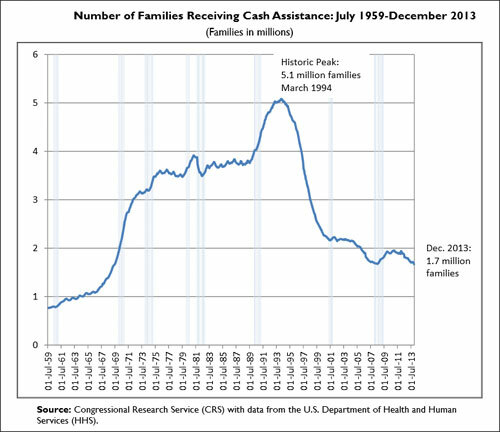 The percentage of poor children receiving food stamps fell from 88% to 70%, and the number receiving cash assistance fell from 57% to 40%. By making payments contingent on seeking employment, it reduced the probability that women will go back to school by 20-25%. The percent of deeply poor households with children who report having insufficient funds to cover essential expenses rose from 37% in 1995 to 48% in 2005. I find this far more disgusting than the idle chit chat of flavor of the month republicans like Ben Carson. Doesn’t anyone remember what she said, what the Clintons did? Doesn’t anyone care? If democratic primary voters won’t stand up for the poor, for blacks, for Muslims, who will? Yes, saying “I have the white vote” wasn’t politically correct, and she shouldn’t have said that. I don’t see that as the same thing as Carson’s or Trump statements. Also, how fair is it to judge Hillary Clinton based on her husband’s policies? Point I really want to make, it’s very important to distinguish between defending the rights of the religious, and defending the beliefs of the religious. Islam, much like christianity, has many morally repugnant tenets (treatment of women for starters). Fundamentalists of either stripe should be viewed with suspicion in the context of running for high office. I don’t want anyone to traduce my point, so I’ll be clear: someone’s fundamental beliefs are important when considering their suitability for a role, but that is not to say that people within these groups should automatically be barred from standing in the first place – they have as much right to stand as anyone else in a democracy. I like some of the economic articles, but if I wanted to read this type of manipulation, I would get it directly from the Republican playbook. I think these are stretches. The campaign staff probably shared the photo amongst themselves as a point of derision, it was never publicly used. Obama also attended Rev. Wright’s church, you can easily say his faith should’ve been called into question. The “white americans” was just typical campaign demographic speak. The anecdote doesn’t imply anything. Bill Clinton is indefensible but I can’t say it was racism more than a discrediting comparison. You don’t like Jet Li? Say he’s more like Jackie Chan than Bruce Lee.